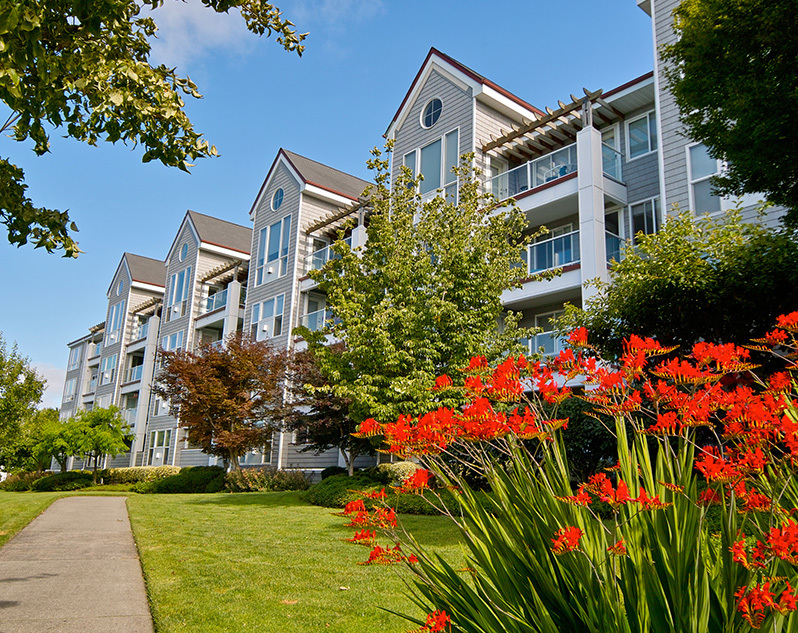 Our work at Columbia Shores proceeded after several years of patchwork repairs and frustration with continuing leaks. 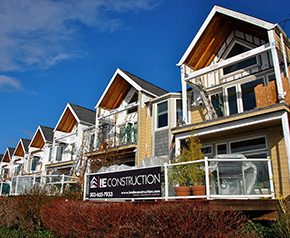 Our repair project consisted of removing all exterior components down to framing and rebuilding the skin of the tower and townhomes. 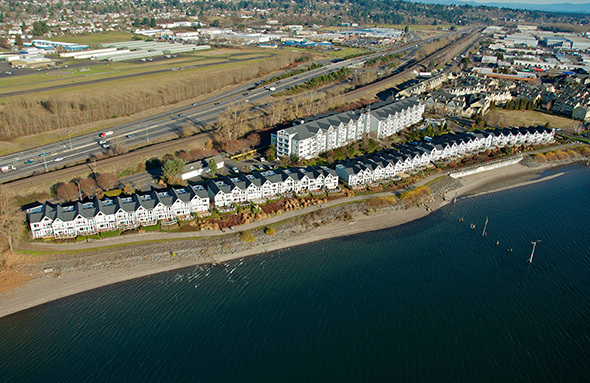 With 140 units on the shore of the Columbia River this work took 9 months to complete. 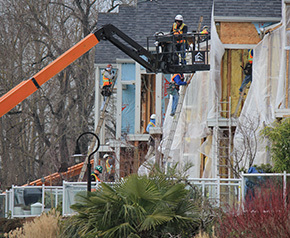 After replacing the townhome roofs, all windows, siding, framing damage, all decks, and exterior doors the community has been issue free since.